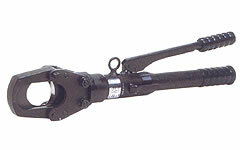 S-55A Hydraulic Cutters: Izumi Products. Light weight portable hydraulic cutter features: Guillotine type cutting for less jamming than shear type cutting. No set up time required. All blades are easilly replaceable. 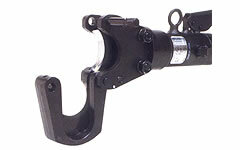 180 degree rotating head allows for easy cutting positions. Lock pin type cutter head.